This fine antique Chinese export silver (CES) centrepiece has a plain circular rounded tapering form with an knopped stem to a circular spreading foot. 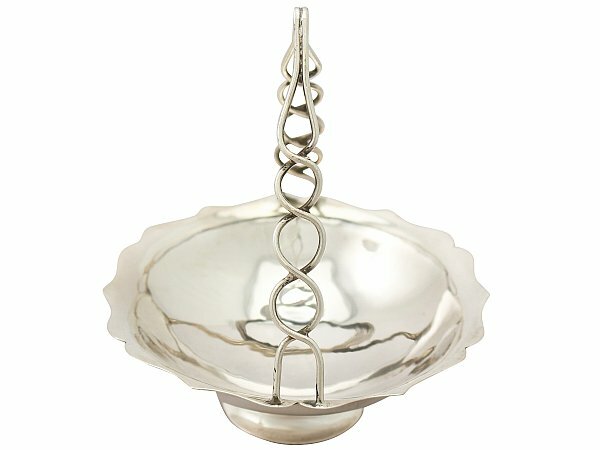 The surface of the silver centrepiece is plain and unembellished. 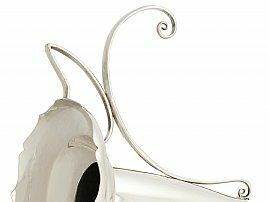 Each of the two detachable hallmarked bon bon baskets have a circular rounded form onto a spreading collet style foot and are fitted with interlacing twist style wirework handles. Both the baskets and the central vase have a incurved shaped border to the rim. 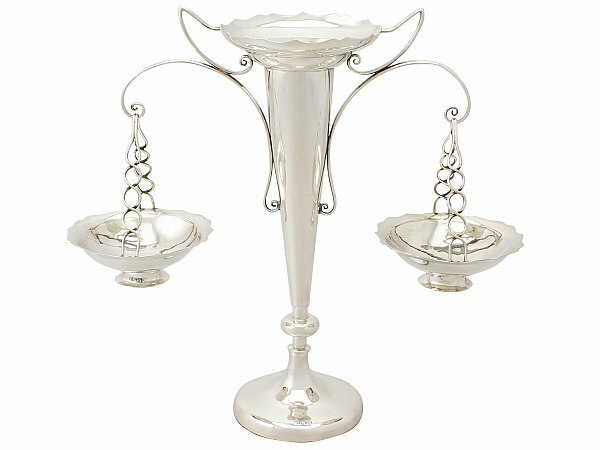 This impressive silver antique centrepiece is fitted with two scrolling arms and ornamented with two angular brackets with scrolling terminals. 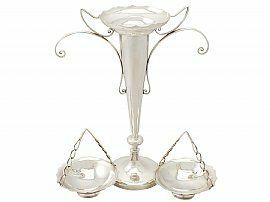 This fine example of Asian silverware has a weighted base and is fitted with green baize to the underside. 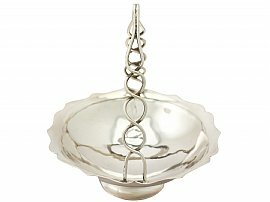 Maker: Wang Hing & Co. 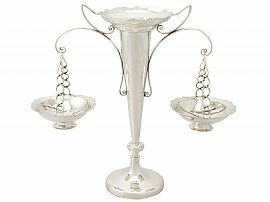 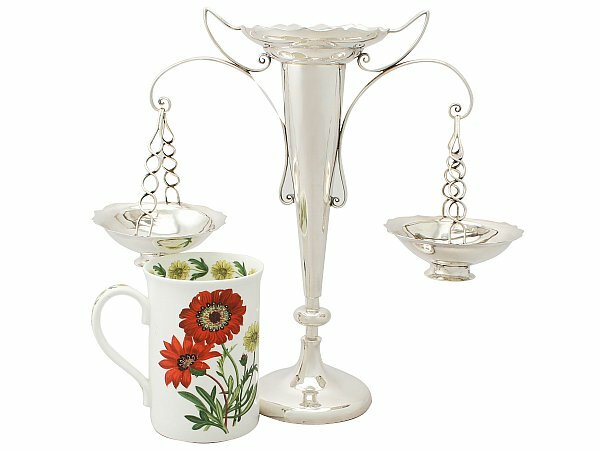 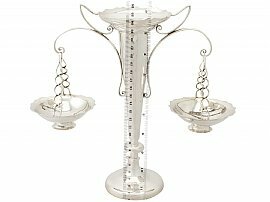 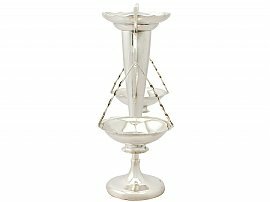 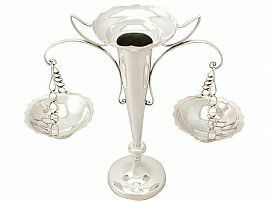 This antique centrepiece is very good gauge of silver, fine quality and in excellent presentation condition. The Chinese hallmarks to the surface of the foot of each piece are all very clear. 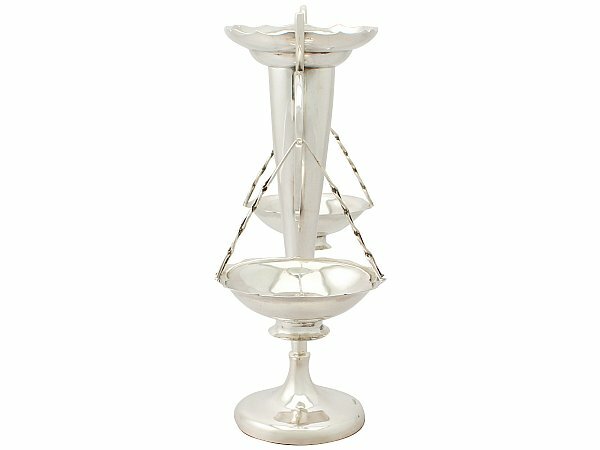 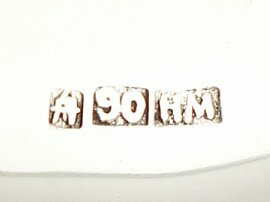 An accurate weight for silver content cannot be provided as this centrepiece has a weighted base.